Paul Merson has revealed tonight Champions League game might be Zidane's last game as a Madrid coach. 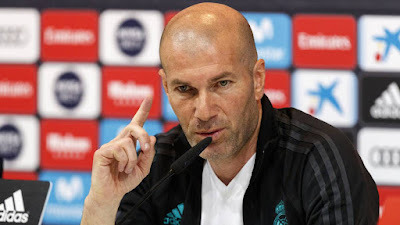 Zidane has only won the La Liga title just once since he takes over Real Madrid and Paul Merson believe if he fails to win the Champions League tonight he might be sacked by the club since winning the Champions League has been the only thing saving his job all this while. Do you think Zidane will be able to save his job tonight.